The car got unique design elements of exterior and interior. New exterior details include unique character badges that are located on the side air intakes, a bumper in front of a sporty character, a Black Pack, sills that are painted in body color, a spoiler on the luggage cover, as well as 18-inch forged wheels in the Gloss Black color range. A new special version is offered in 1 of 3 exterior colors - this is Yulong White, Santorini Black, Eiger Gray. 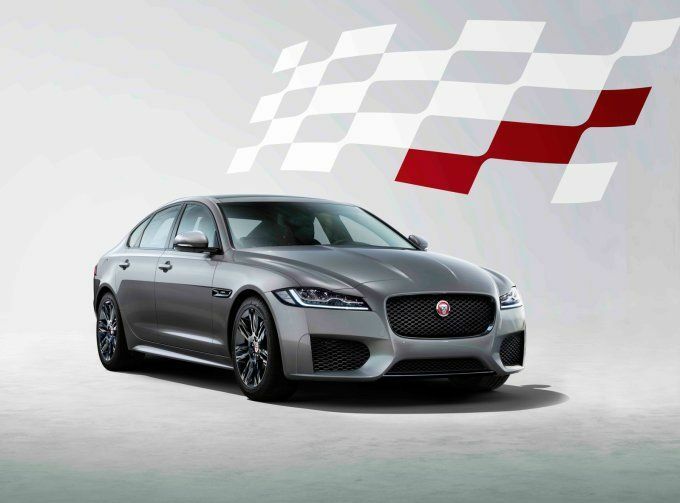 In the Jaguar XF Checkered Flag salon will be a lot of design elements, for example, unique character badges, Dark Hex Aluminum tidy trim, R-Sport leather trim with Ebony/Ebony color combinations or Ebony/Red, etc.